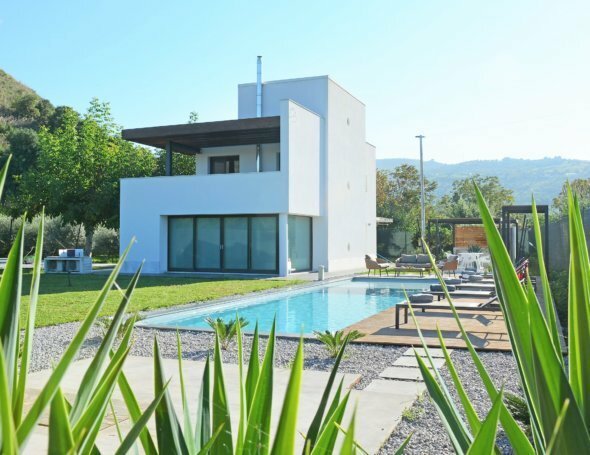 Villa Rita located in a prime position of Cefalu. 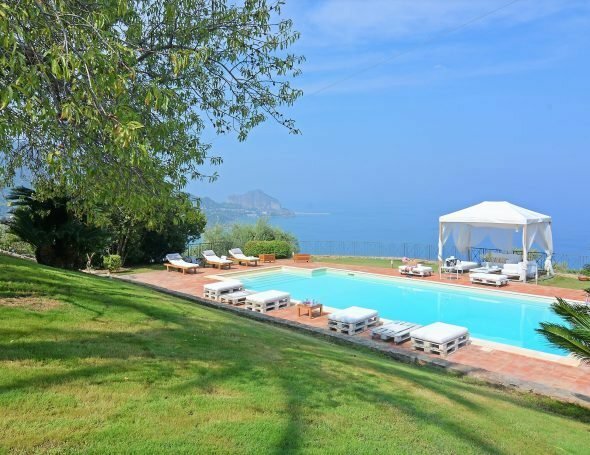 Villa Rita is situated in a prime position on the northern Sicilian coastline of Cefalu which means magnificent sea views from almost every angle. Ground floor: Open kitchen (with air-condition )with dining area opening to terrace, cloakroom. We were four girls who visited Cefalu in June 2014 and we stayed in Villa Rita not far from Cefalu town. We really enjoyed our stay and had a great week. Villa Rita is a really nice property with a stunning view that is to die for. The surroundings are beautiful as well as the house, the pool and the view. The correspondence with Massimo upon our stay was prompt and professional as well as our arrival the house. Massimo and his crew were very helpful and made our holiday to the best. I would strongly recommend other to stay in the villa and would love to go back someday. The whole brood enjoyed our stay at Villa Rita – from my two-year-old toddler to her granddad! The gorgeous gardens and swing/slide were ideal, while the amazing coastal views (all the way to Cefalu) kept the adults entertained. You don’t need to pack toys either, as the villa has a stash. Don’t miss pizza on the piazza in local village Sant Ambrogio (beware, closed Mondays), or walk in Cefalu – a magical experience.